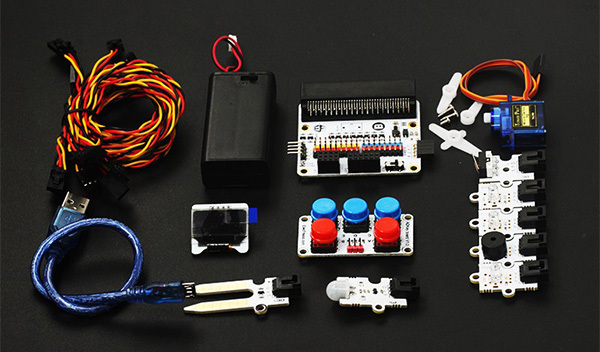 The ElecFreaks micro:bit Tinker Kit wo/ micro:bit Board is a set of accessory for micro:bit, which enables you to connect all kinds of modules easily. It can be used for classroom teaching. And for DIY beginners, it provides abundant sources to make electronic artworks and practice ideas. This kit includes 10 modules, but this version does not come with the micro:bit programmable board.